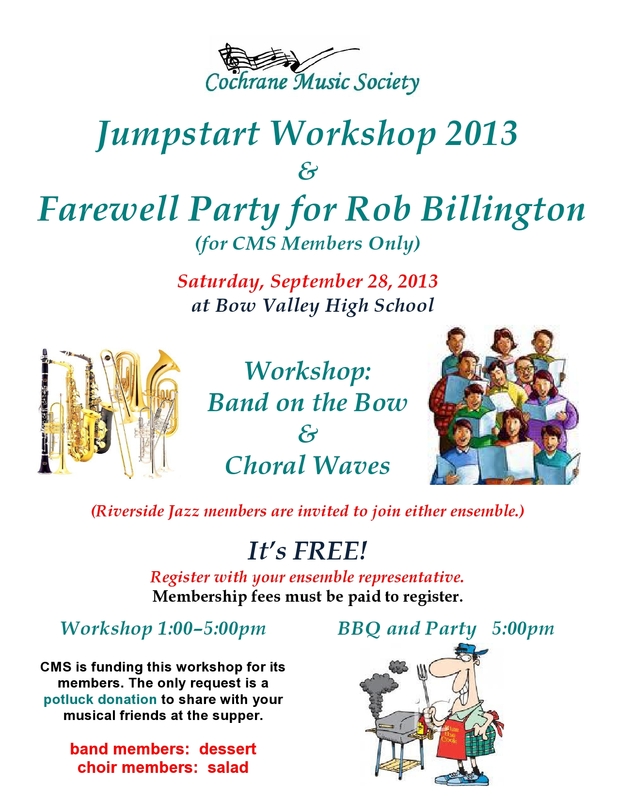 Mark your calendars for the Jumpstart Workshop Saturday, September 28th. The workshop will be for concert band and choir. Riverside Jazz members are invited to join either ensemble. 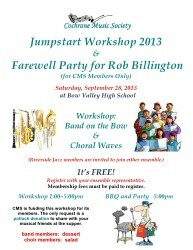 The workshop will be followed by our farewell BBQ and party for Rob Billington. Note: This workshop is for CMS members only. Click on the poster for details.